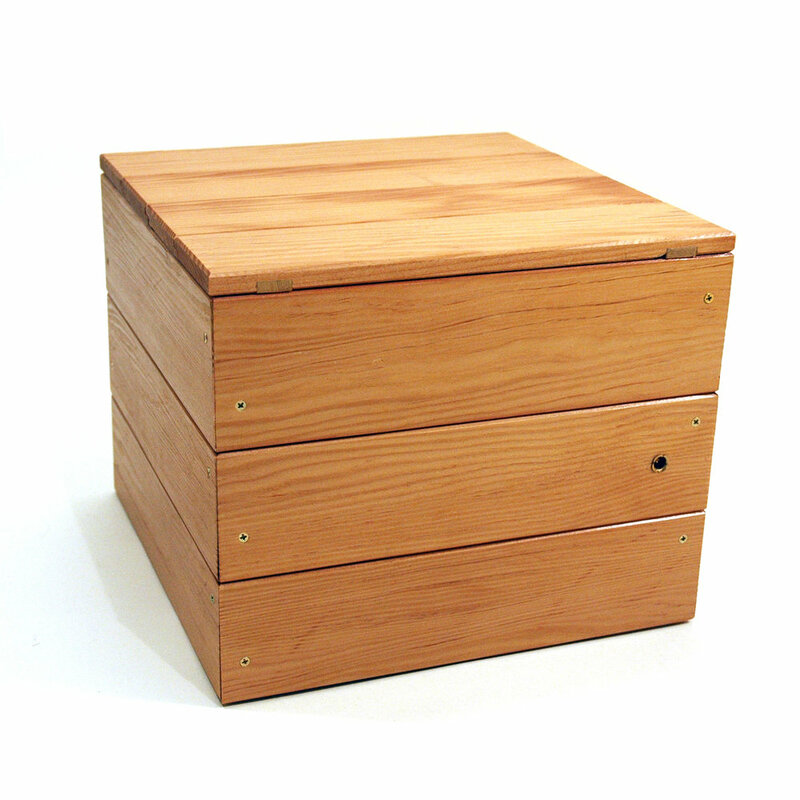 Size: 18 x 18 x 18 in. 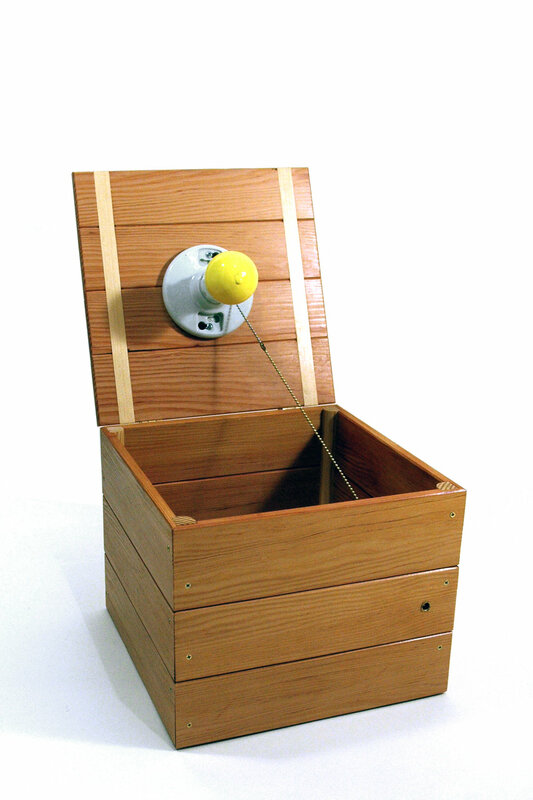 The box clicks and is held open by the lightbulb chain. 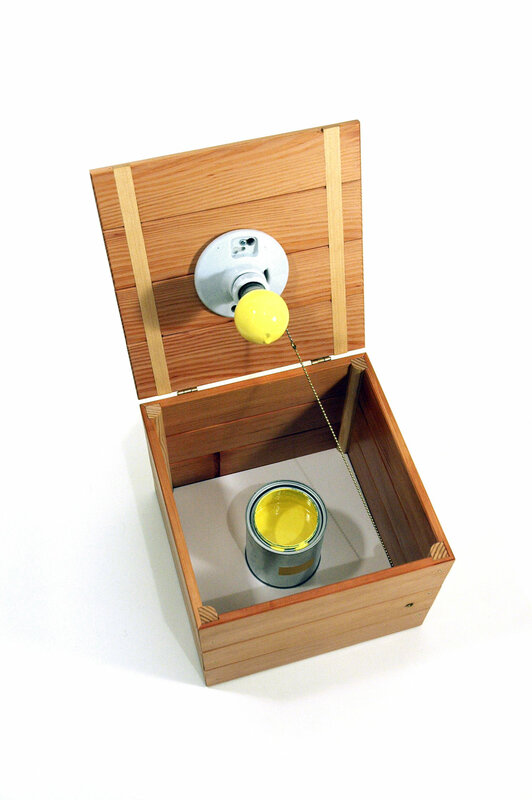 When closed, the lightbulb dips into, and displaces the wet paint enough to coat the bulb. This piece is based on the story of Archimedes sitting in the bathtub and discovering how to measure volume by observing the displaced water. He shouted, “Eureka!” and ran through the streets naked.